iSportsAnalysis are serialising “Running Sussed”, a book by ex international runner Julia Chi Taylor. In today’s chapter Julia will be talking about “How to handle injury”. Thank you Julia Chi for sharing your wisdom and insights. But – it also has a philosophical aspect that means that people who have run for years can get something from it – some deeper insight or connection to themselves through the art of running. 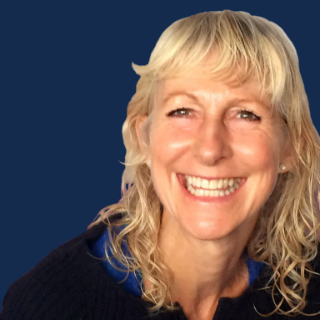 Julia has been running all of her life, it has informed how she has chosen to live from a very young age and has been the bedrock of her ‘practice’ both physical and spiritual – in fact it has become her spiritual practice through the mirror of seeing herself reflected back in her running endeavours. Julia achieved her first international vest at the age of 19 and went on to run at international level for the next 13 years. Her most notable achievements were winning the Dublin City Marathon, being placed 7th woman in the London Marathon (3rd British) in a time of 2.36.31 and competing in the Commonwealth Games Marathon in 1986. Your improvement is likely to appear quite linear for awhile, particularly if you are wise about how you go about it; but there will come a time when you reach a plateau and where you also establish a routine that seems to support you and your ;lifestyle and may be as much as you want to accommodate into your life. Now it is important to shift to a position of this being a lifestyle – you are ‘a runner’ now! Should you wish to apply yourself more for certain competitions you have a base level and a regular pattern that you can maintain and that will sustain you on all levels in your life. The support of your family and your running buddies will ensure that this is possible and conscious connection to what you have accomplished to get this far is important in validating what you have achieved and who you have become ! Looking after your running body is of the essence, this is your instrument and it must stay finely tuned and in balance. Regular sports massages and acupuncture for the muscles could or should be a weekly process, or at least regular occurrence, depending on the miles you are running and how much time and money can stretch to this. Looking after your feet, keeping them healthy and as blister free as possible; there are some great ‘second skin’ products on the market for this, and of course over time your feet get tough anyway! Getting to know your morning resting HR can be a great guide to whether you are over training, if it is elevated by 4 – 6 beats, take an easy day or a day off. Back off if this is occurring, running is meant to be enhancing your life, rather than breaking you down! Support your running programme with daily stretching exercises, maybe yoga, as this incorporates the breath too – and it is the yin to the yang of the activity and forward motion of running. Training for events is an ongoing learning process. Training for specific events can distill everything down to a daily process taking you step by step to your goal; bringing yourself to race day in perfect form has a pattern to it, that once again you will learn over time by entering events, following a training regime, and tapering off for the event and lining up as ready as you can be. When you race, it is important to think ahead as to how you will manage the event, how will you get there, will you have people to drive you there, hold your kit, be on the roadside shouting encouragement and giving your fuel – or will you be alone? Either way – be prepared, so that you know where you will get fuel along the way, or carry it with you – get organised as to where you will change afterwards ( by the side of the road is fine, but be aware of this and take wet wipes and a towel !) and make sure you have some food for recovery. Recovery happens best in the first 20 minutes after an event – so some protein and carbs will do the job or a sports recovery drink, which can be easier and more digestible too! Run and be set free, express who you are and because running is who you have become and run because it is fun; just run and you will find that it does something intangible and magical; it must do, because when people start to run, they rarely stop; they keep on running and running and when people say ‘don’t you get bored’, we answer politely, but we are slightly bemused because running is energising; running connects us to who we truly are, and to the earth and to the sky and the elements and the universe and we know that we are all that too. We are the universe; it is within us and without us and we are a speck in the vast cosmos and when we run, we must run to the beat of the planet and we must run in its rhythm. In so doing we connect to something intrinsic within us and within each other which is why when we meet another runner, there is a recognition and no words are needed…. Julia is an ex international distance runner. In the late 70’s all through the 80’s and into the early 90’s she competed regularly for England and GB at distances from 5k to Marathon. Some of her best performances include winning the 1985 Dublin Marathon and finishing 7th woman (3rd British woman) in the 1986 London Marathon in a time of 2.36.31 where she was selected to run in the Commonwealth Games. She still competes now as a master over 55, regularly winning her age group in races around the world. She’s was also part of the winning team for the national master X country championships in March this year, 2016. Julia has coached and mentored others to achieve their dreams in sport and life for the past forty years! iSportsAnalysis.com are world leaders in online sports analysis. We help clubs, universities, colleges and schools win matches and sporting competitions. Want to bring out the magic in your sport? Thank you for subscribing to the iSportsAnalysis newsletter. If you would like to know more about analysis in sports you have come to the right place! Thank you for subscribing.